Henry Cavill News: Save The Date: 'Go Wild For Durrell' On February 23rd! Save The Date: 'Go Wild For Durrell' On February 23rd! How is this for a productive way to start the new year? Henry just launched a new fundraising campaign for Durrell Wildlife, and it's a really fun one! WEAR IT, BAKE IT OR WORKOUT…… WILD! Durrell is excited to announce its inaugural ‘Go Wild for Durrell’ fundraising day, an initiative supported by our global ambassador Henry Cavill. 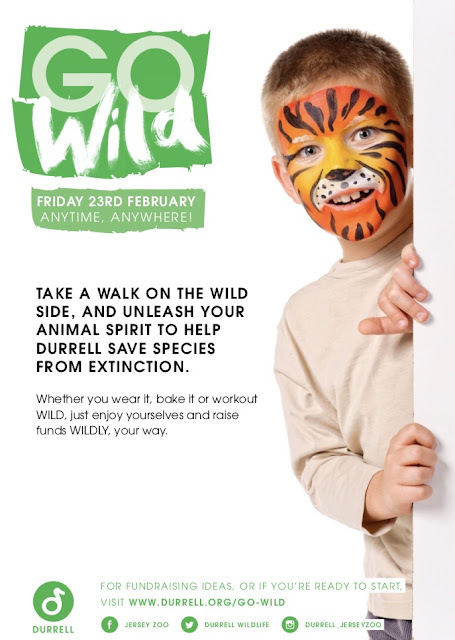 Take a walk on the wild side, and unleash your animal spirit to help raise funds for Durrell Wildlife Conservation Trust. On Friday 23rd February, Durrell is calling on all its supporters, anywhere in the world to enjoy a day of wild activities and fundraise wildly for the world’s endangered species. 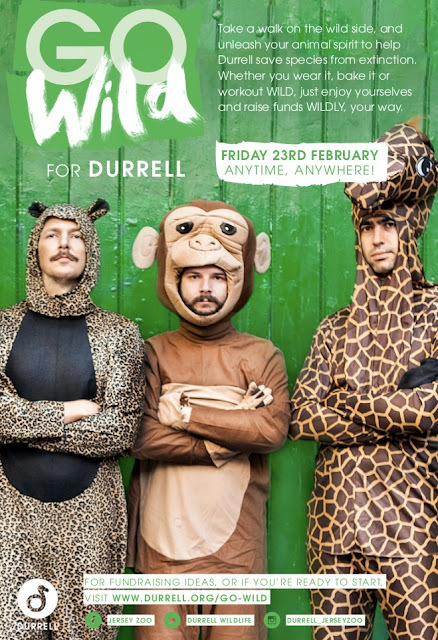 Whether you’re at home, in the workplace, at school, or part of a club or team, Durrell invites you to come up with your unique take on ‘wild’, and take part in an animal-inspired fundraising activity of your choice. What is ‘Go Wild for Durrell’? This is Durrell’s first fundraising event of this kind, which is planned to be an annual event. 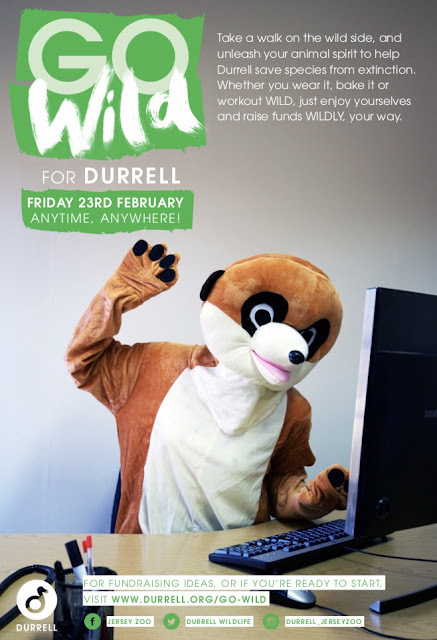 Whether you’re at home, in the workplace, at school, or in a club, Durrell wants you to take part in an animal inspired activity to raise funds for Durrell Wildlife Conservation Trust. Did you know that Durrell is an international charity and that it costs over £8 million to run every year? Since 1959, Durrell have been on a mission to save species from extinction, and we need your help now more than ever! Taking part in ‘Go Wild for Durrell’ is a fun way to raise money and awareness for endangered species. Please, help Durrell protect our beautiful, wild, world. What’s your WILDEST fundraising idea? Dress-up day: Are you a queen bee or a silverback gorilla? Sponsored dip: Swim like an otter. Chin-up challenge: Are you as strong as a Sumatran orangutan? Take a walk on the wild side: Take your team on a barefoot stroll. Sponsored run: Can you out-race a Saint Lucia racer snake? Bake off: Make palm oil free, orangutan-friendly cupcakes to sell at work. Sponsored yoga class: Can you balance like a Chilean flamingo? Karaoke competition: Sing like a Sumatran laughingthrush. Insert your wildly creative fundraising idea here! More information on how to get involved and support ‘Go Wild for Durrell’ can be found at durrell.org/wildlife/go-wild. SHARE with Durrell your chosen, WILD fundraising activity via Facebook, Twitter and Instagram, tagging us at #GoWildForDurrell. Winners will be announced after Friday 23 February via email and on social media. We already have a few ideas on how we're going to participate, how about you? Can't wait to see what everyone comes up with in support of Henry and Durrell Wildlife! Aww, Henry with Kal! *kisses* They're so cute. It must be so early, looks like there's no one else awake. D.
Where are you my dear?, lovely place to walk very early. I'll be glad to support Durrell Wildlife. Kal so, so cute. I love you Henry. By the way DC Comics please hire Armie Hammer for Batman we love to see Henry & Armie together again.